Wondering what to do in Paris? With 20 districts offering unique and noteworthy Paris attractions, you just can’t go wrong. Even walking along the streets can be a stunning adventure, and with a little time on your hands, you can try out some killer day trips. 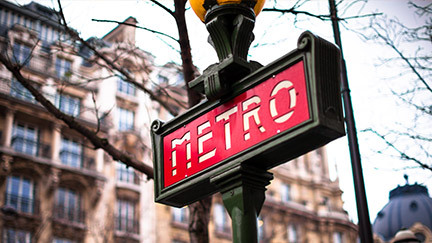 Take a 30 minute train ride to Versailles or spend a weekend on the French Riviera! 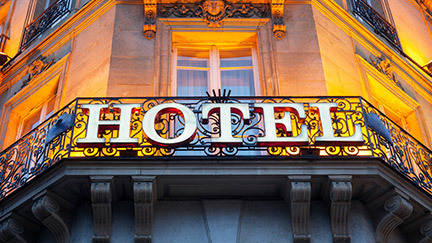 Follow our travel tips for Paris, and you’ll have a blast. 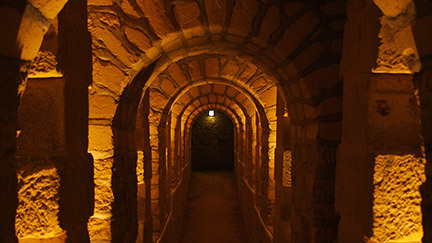 It isn’t hard to do — in Paris, there are dozens of museums where you can get your culture fix. The Musée du Louvre reigns supreme, with the Mona Lisa, Venus De Milo, Liberty Leading the People and Caravaggio’s Death of the Virgin among its prized collection. After spending a few days navigating the Louvre, you could look to the Musée d'Orsay, a converted railway station that houses excellent art from the turn of the nineteenth century. 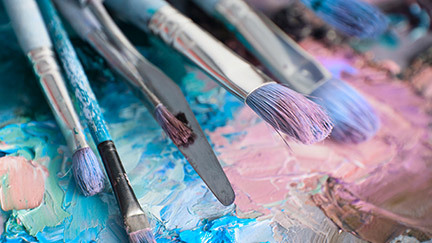 We’re talking Monet, Manet, Degas, Cezanne and a whole room of Van Gogh! 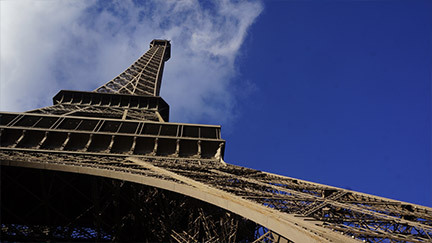 I bet you knew the Eiffel Tower’s one of the top things to see in Paris, but did you know you could climb it to the top?? 704 stairs, 7 euros and an elevator ride are the only things between you and one of Europe’s all time best views. If you’re not interested in reading the little history plaques, you can probably scale that bad boy in 20 minutes. If you are interested in the tower’s history, you’ll discover that this 1,000 ft wrought iron structure escaped destruction twice to become the world’s most popular tourist attraction! 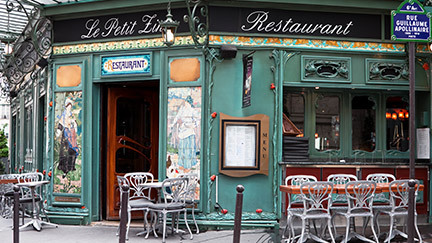 Get some “me time” the way a local would by take a break at a classic Parisian cafe. At the top of your list should be Café de la Paix, a famous eatery in the 9th arrondissement that has inspired many paintings and poems. 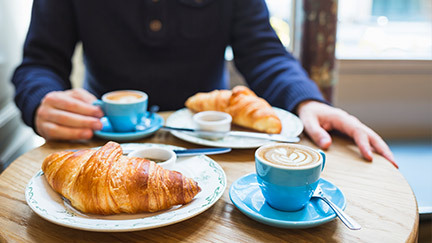 Due to its overwhelming popularity, the Café de la Paix has become a sort of unofficial gathering place for the city of Paris — grab a seat, some coffee and a delicious French pastry, and then wait to see who strolls by! Looking for a more down to earth cafe experience? Try La Caféothèque, where expert staff serve up freshly ground coffee and gluten-free treats, sans frills. StudentUniverse tip: Go off the beat and path to find more obscure cafes that won’t upcharge tourists. 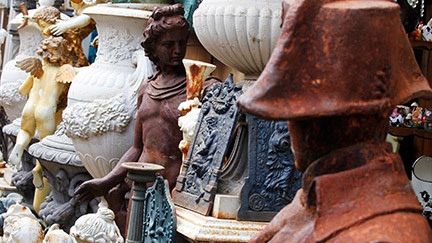 Haggle your way through the Europe’s biggest flea market! From miniature Eiffel Towers to 1980s Chanel scarves, these vendors go hard. You could easily spend an entire day wander through the Marché aux Puces’ many showrooms, so make sure you don’t have anything planned for that afternoon. Shopping in Paris is one of the best things to do. 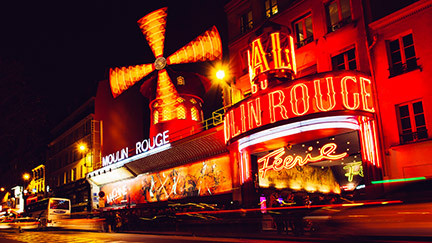 Opulent, indulgent and absolutely timeless — the Moulin Rouge is one of the best things to see in Paris! The moment you lay eyes on the theater’s iconic red windmill, you’ll be transported back in time to Moulin Rouge’s golden days, when larger than life characters blessed the red-draped stage. Enjoy the cabaret on it’s own, or splurge on the full meal and champagne experience. Whatever the show, it’ll have you singing Lady Marmalade the whole way home.